Essential Oil Dittany Bioaroma was added to your shopping cart. Dittany natural essential oil with antibacterial and antioxidant activity, 100% pure. Essential oil Dittany Bioaroma with antibacterial and antioxidant activity, 100% pure. By distillation of 100kg Dittany is produced only 1lt essential oil. 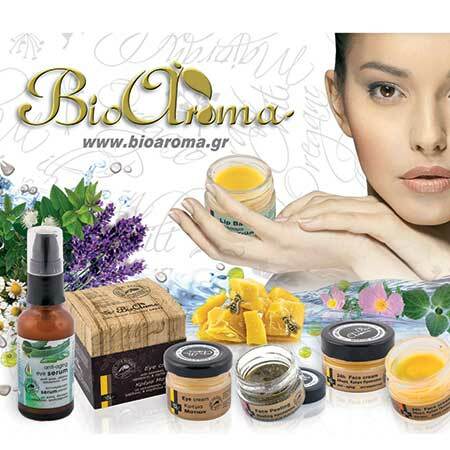 It is produced world exclusively to the distillery of essential oils of Bioaroma. • For deep scars and acne scars on face: Drip 20 to 30 drops in 50ml St.John's Wort and apply every evening on your face. Do not rinse. • Since it belongs to the same family with the oregano, the taste is similar. So used in cooking or adding a few drops of olive oil and pour raw in salad or 1 drop at the end of the food. • Hot Beverages: Tonic, with antioxidant properties and beneficial for the stomach: Add 1 drop in your cup of tea and honey for extra taste. Do not use on skin undiluted. Avoid use during pregnancy. Keep away from children.